Thank you to everyone who participated in the run on September 30th! Over 225 people came out on a beautiful Sunday morning to support The Breathing Room Foundation as they ran/walked in the 9th Annual Valley Road Run.This event has grown consistently each year bringing out an increasing number of participants and profit for the foundation. We thank our 2012 Valley Road Run sponsors – Julianna Hike Fund, Lincoln Investment, Ed Forst, Jr., Rem’s Automotive, Whole Foods Market, Acme Markets, GSK and Fil-a-Bagel. Family and friends joined together to show their support to their loved one who has battled cancer and teams formed to help support the cause. 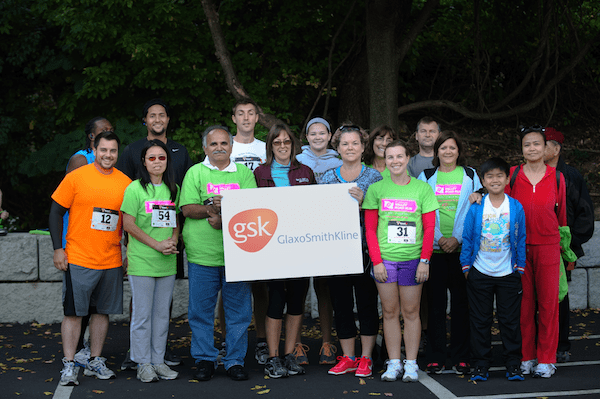 We thank GSK for sending a team of 24 participants and Gwynedd Mercy Men’s b-ball team for bringing 18 members out to support the efforts of BRF. A special thank you to Chris Hensel for joining us on Sunday to capture the event through his photographs. We hope to continue to see this event grow and become one of The Breathing Room Foundation’s most successful fundraising events.